NexPhone: Futuristic Concept Smartphone Using Ubuntu for Android, Real Deal or Hogwash? NexPhone concept is a new kick-starter like project where the promoters intend to build a smartphone that becomes your tablet, laptop and PC, all at the same time. Might sound familiar since ASUS has a similar project called ASUS PadFone. The interesting thing about NexPhone project is that, they intend to use Ubuntu for Android as their preferred desktop OS. It all looks very promising (video below), but there are some suspicious bits too. The video introduction to the project is impressive and the demo of hardwares and docks shown are really nice too. 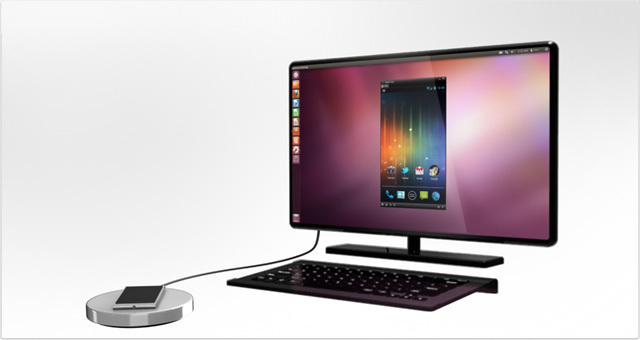 They intend to use Ubuntu for Android software to create a smartphone that will function as a full PC. Additionally, the NEX series will feature affordable options to dock NexPhone to peripherals such as a tablet, laptop or wide screen monitor. What I don't like is the fact that NexPhone campaign is a Flexible Funding campaign, which means, this campaign will receive all of the funds contributed by Sat Nov 10 at 11:59PM PT, even if they doesn't reach the intended goal of raising $950,000. I don't think it's a good idea to let people keep the money from an underfunded project. What's your take?